The doctor from Nigeria denied assault when he appeared in court but was found guilty after a two-day trial. Dr Abiodun Olumuyiwa Bale, 42, denied being a ‘thug’ at the hearing He was given a six-month conditional discharge but will face a disciplinary hearing at work and could lose his job. Bale, who qualified as a doctor at the University of Lagos in 1995, worked as a gynaecologist in his home country before coming to Britain and registering with the General Medical Council in 2006. He was given a licence to practise here in November 2009 and was on a placement, for speciality GP training, at Hyndburn Medical Practice in Accrington, Lancashire, when the assault happened on March 26. Elderly man knocked-down and killed in suspected drink-drive incident: One man, 22, arrested Eddie Harrison, prosecuting, said Bale had asked Mrs Cunningham to come in to the practice after a telephone consultation about a problem with her face, during which she had become distressed. When she arrived, the doctor told Mrs Cunningham she might need to call for an ambulance if her condition deteriorated later when the surgery was closed. Mr Harrison told Burnley Magistrates Court: She didnt want to do this and at this point he raised his voice. 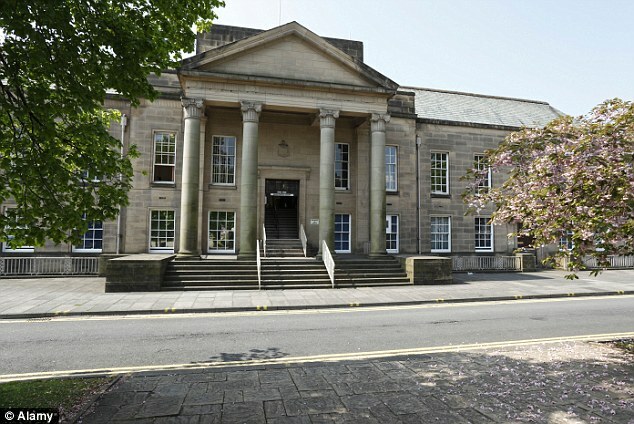 Burnley Magistrates’ Court: Dr Bale ‘flipped’ the court heard Mrs Cunningham was frightened, got up to leave and said she wanted a second opinion, the court was told. [Bale] became agitated and, as she stepped out, he grabbed her hand to prevent her closing the door, Mr Harrison said. He then grabbed her by the forearm with both hands and tried to drag her back into the room. She screamed and shouted at him to get off her arm. This attracted the attention of another doctor and two cleaners. The other doctor told Bale to go back into his office and then escorted Mrs Cunningham out of the surgery. The court was told that a week earlier the GP, who lives in Manchester, flipped at another patient, shouting at her: For Gods sake, I have other people to see besides you. She got up to leave and he tried to grab her hand. She felt frightened and vulnerable, said Mr Harrison. Bale claimed the incident with Mrs Cunningham was a misunderstanding, saying: Im a doctor, not a thug. But Mr Harrison said: There was no mistake or misunderstanding.